"Horloge" is an example of a French word that made it into the Dutch language. 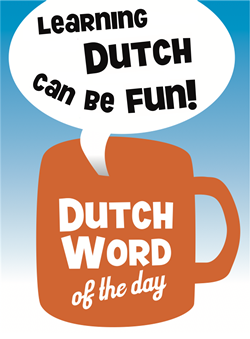 Although one might say that it is not very difficult for a word to make it into the Dutch language, French words are abundant and we will see more of them in future DWOTDs. Although "horloge" in French translates to the more general "clock", in Dutch it translates to wrist watch by default but one can emphasize the wrist if necessary (see ‘Examples’). 3. "Horlogemaker": watchmaker, watch repairer/mender. 4. "Hoe laat is het?" – "Sorry, ik heb geen horloge." Learn more about watches at http://en.wikipedia.org/wiki/Watch . This entry was posted in Dutch word of the day, DWOTD 1.0, Vocabulary Basic and tagged horloge, klok, tijd by Dutch Gurus. Bookmark the permalink.